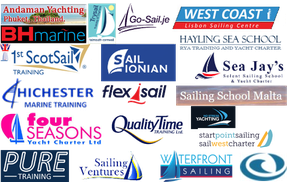 Already over 25 RYA Sea Schools have chosen Skippers Online to deliver online Day Skipper & Yachtmaster Shorebased (theory) training to their students and we have delivered more than 2,500 courses since we launched in 2014. 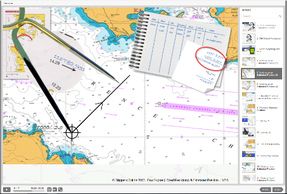 Practical course instructors and examiners regularly tell us that students who've learned with us online are impeccably prepared for their Day Skipper or Coastal Skipper practical course or Yachtmaster exam, showing a much deeper understanding of The Collision Regulations, chartwork, meteorology, passage planning and pilotage than those who have been taught in a classroom environment. Unlike older generation products our training is not derived from conventional distance learning or constrained to obsolete web technology, where students essentially read from a screen rather than a book. It is built to take full advantage of the multi-media, on-demand experience provided by broadband Internet. 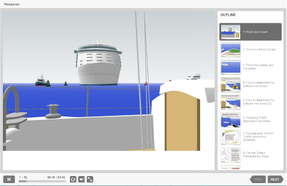 Lessons are fully narrated (not just the animations) and use stunning 3D graphics which depict scenarios exactly as they might appear from the cockpit, from a ship’s bridge or a helicopter. We can zoom in for more detail and, when night falls students see lights pretty much exactly as they would appear in real life. Try a lesson or quiz now. Animations clearly demonstrate calculations and chartwork step by step. Quizzes and exercises, incorporating a variety of question types, reinforce students’ understanding by providing immediate feedback on their answers. We also go beyond the RYA Syllabus to include lessons and videos teaching radar fundamentals, AIS, engine checks, fire-fighting, flood control, lifejacket checks, boarding a liferaft and jury rigging. All lessons and exercises are contained in our learning management system which is branded with your school’s logo. It can also carry your advertising which you can update whenever you wish, for example to promote late booking availability of practical courses or mile-builders. Our instructors based in The UK and Thailand, enabling us to offer students, pretty much, 24*7 support. Exercises are delivered online and students are provided with model answers in order to ensure that they fully understand the associated topics. We also provide mock exams. We ship the student pack, mark exams and send course completion certificates to successful students. If a student fails to make the grade we offer unlimited resits after an agreed period of additional study in the necessary subjects. Prospective students can try a number of representative lessons and quizzes before they buy and we provide a no-quibble 14 day money-back guarantee. Students sign up online when they can also optionally select to purchase a plotter and divider kit. We accept payment via all the major credit and debit cards. Students get immediate access to the training materials and we ship their student pack by first-class post or airmail within twenty four hours. 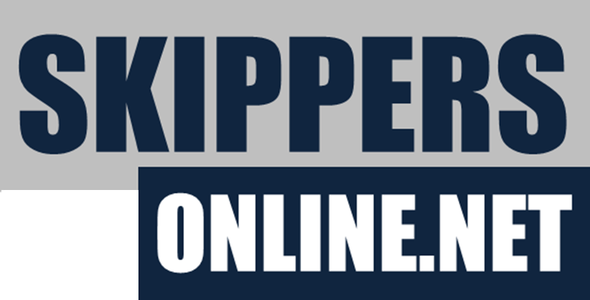 Skippers Online training runs on Windows PCs, Apple Macs, iPads and Android tablets. Students can also download lessons to run on an iPad or Android tablet to run offline, perhaps whilst commuting. It will even run on smartphones although some students might find they need strong reading glasses to discern all the detail. 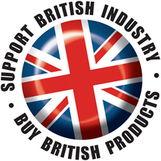 All prices include VAT and we comply with the 2015 EU legislation regarding the supply of digital goods. Please enter your details below and we will send you a draft agency agreement incorporating full commercial terms.